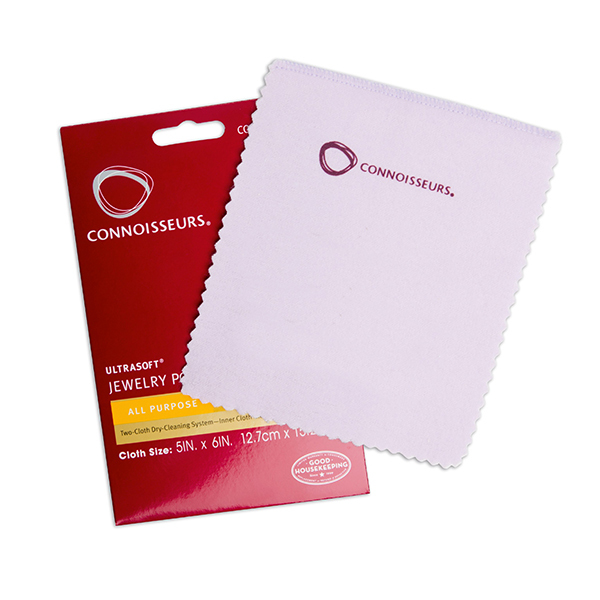 The white inner cloth is chemically treated with micro-fine polishers to remove dirt and shine your gold jewellery. NOTE: Black marks will appear on the cloth but that is only due to the polishers being active along with tarnish being transferred to the cloth. The cloth should never be laundered and can be used many times. The polishing cloth should never be laundered since that will remove the polishers that are impregnated within the cloth. The cloth can be reused many times even when it turns black.